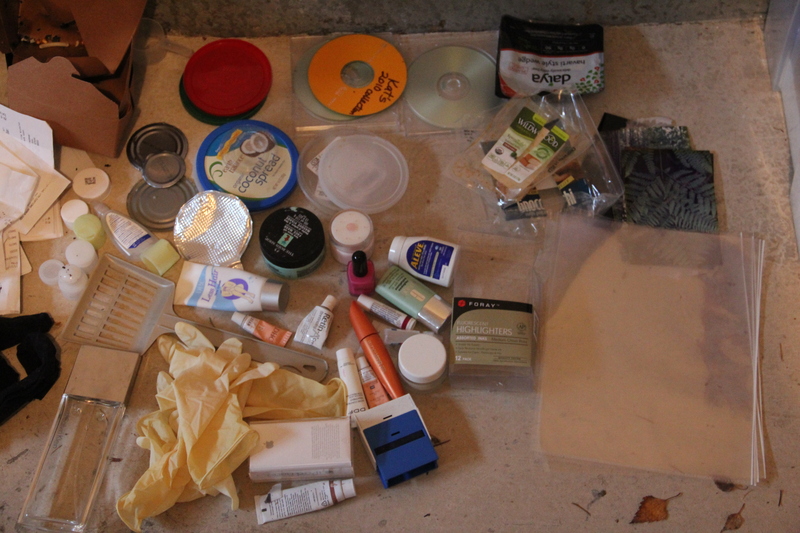 I spent January simplifying my home drawer by drawer, closet by closet and room by room. 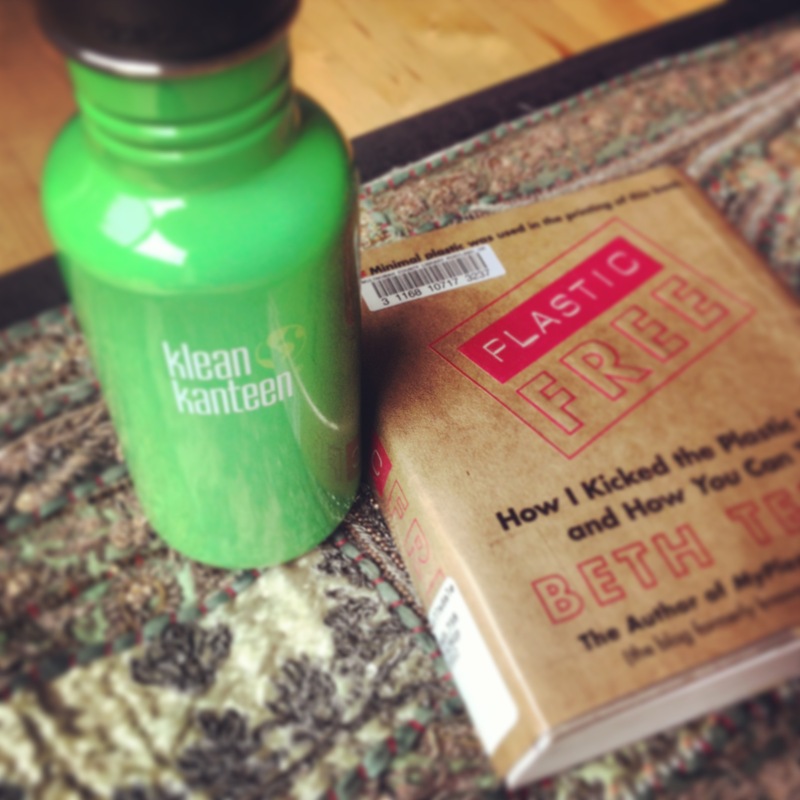 During early January I checked out a book at the library called “Plastic Free” by Beth Terry and it is knock your socks off amazing! As I read through this book I realized that it too was about simplifying and finding ways to live a life with less plastic. Living with less plastic is all about being good to the environment by not leaving behind chemicals and waste that won’t decompose. The way Beth writes is very open and engaging and she has so much information, I decided to buy the book for future reference. 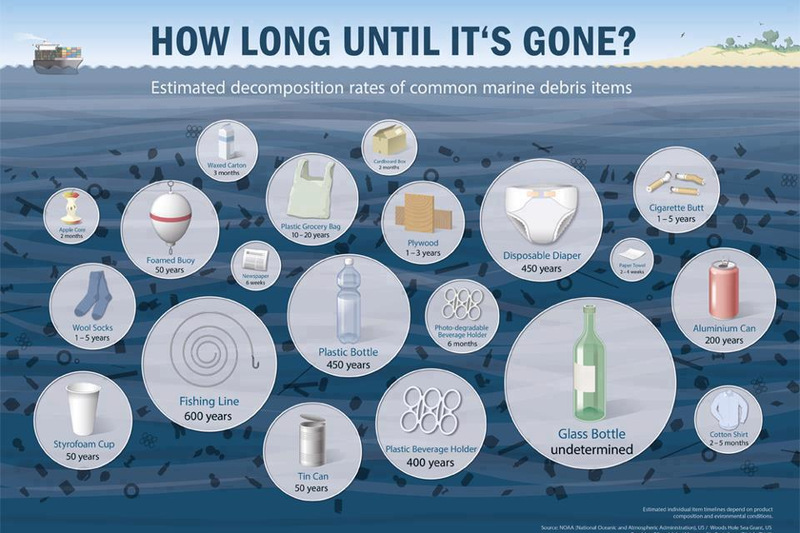 It’s easy to think plastic just goes away, but here is how long it takes to decompose. Click on photo to enlarge. 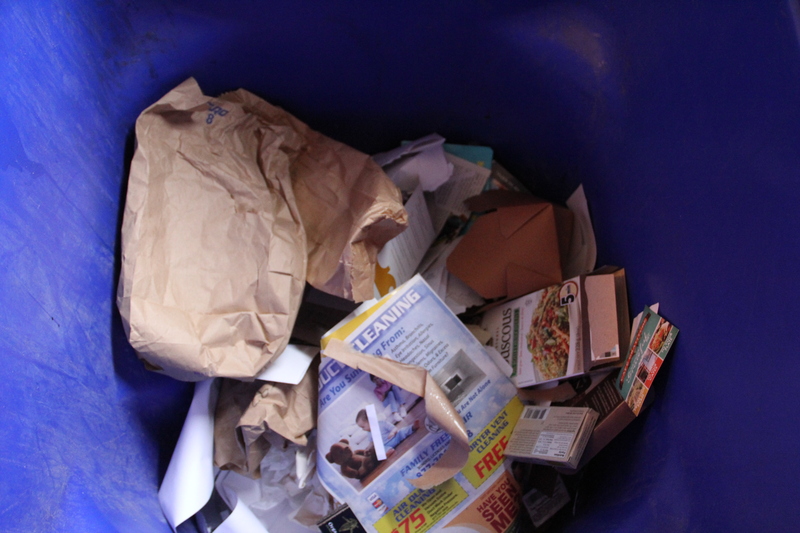 Thermal receipts go in the trash (not recycling) as they contain BPH which contaminates recycling. 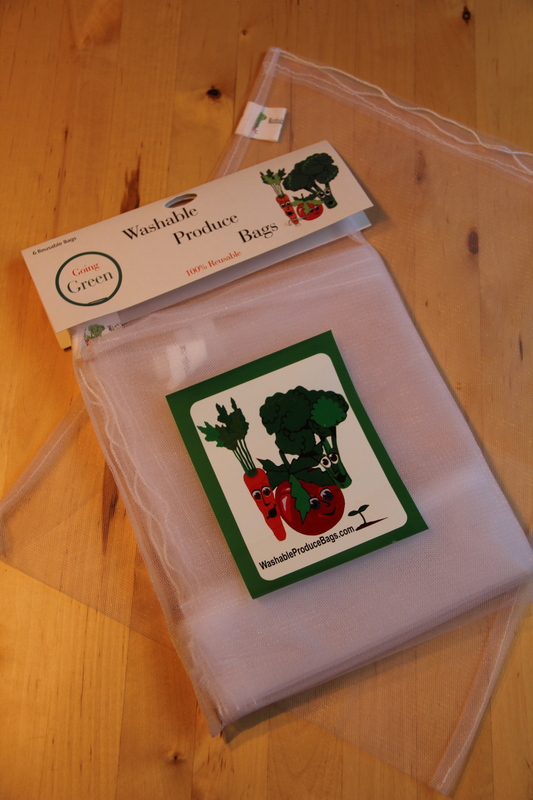 A friend gave me some reusable produce bags so I don’t need to use plastic produce bags any longer. This has probably been one of the biggest changes for me! I purchased my first Kleen Canteen and I now carry it with me for water so I don’t need to buy water in plastic bottles. 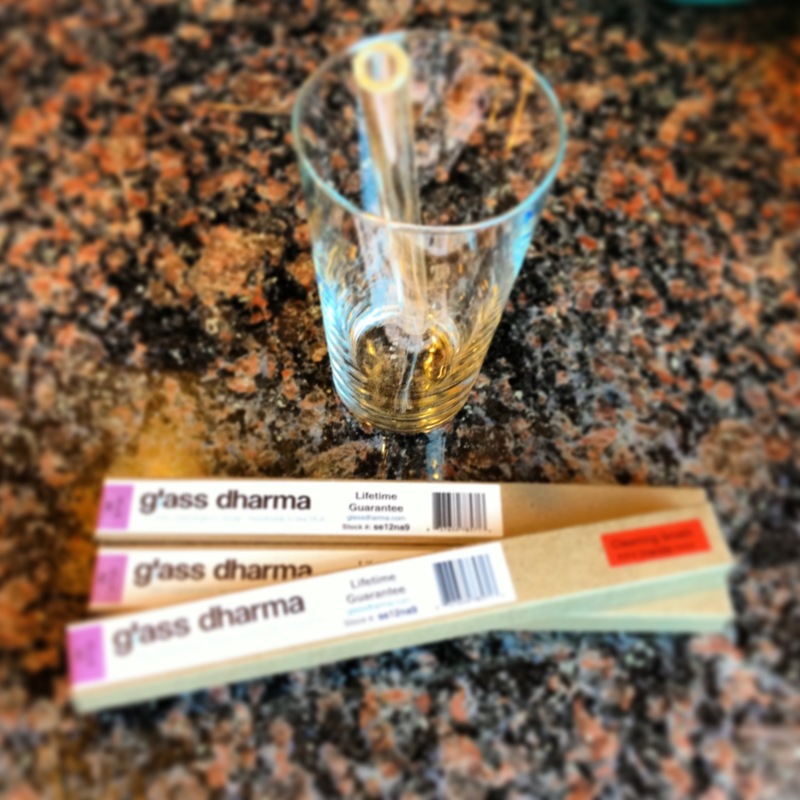 I bought my first set of glass straws to avoid contributing to the 500 million plastic straws that are used in the US each day. Yes, that fact is right. I checked it twice. I began buying more items from the bulk bins at my local food co-op to reduce the plastic packaging and to save money too. Bulk sections include cat food, olive oil, tamari and more items than I expected at the co-op. I carry a reusable handled bag in my purse and multiple reusable bags in my car and kitchen for use when making purchases at any store. Sheets that I had in the Goodwill pile came back out for use in making more bags to use with bulk items such a beans, nuts and seeds. I began to use coconut oil in a glass jar as a beauty product on lips, skin and hair. More about that in a future blog. 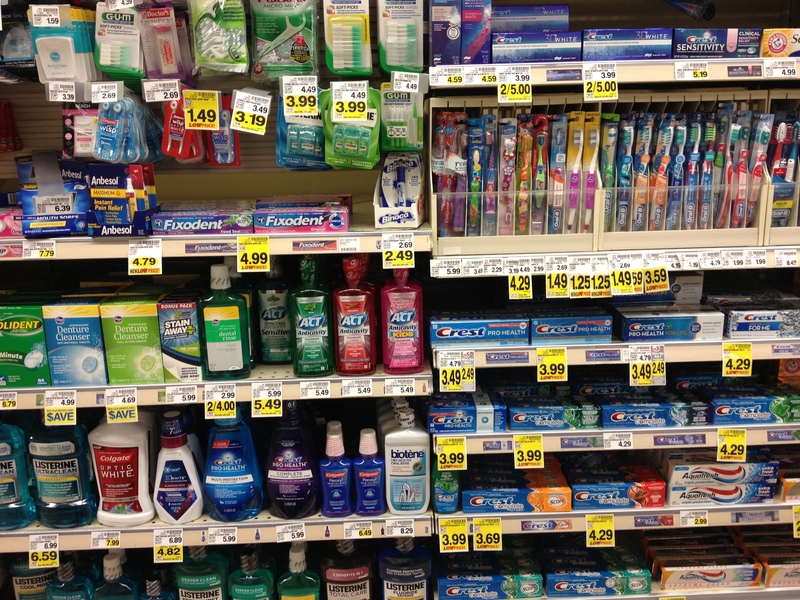 I am exploring new toothpaste and new toothbrush options without plastic. I’ve started asking for orders to be shipped using no plastic where possible. I am using Sappo Hill vegan bar soaps that are very reasonable in price and that don’t require any packaging versus pump soap dispensers. Wooden cutting boards were found to be more hygienic than plastic so I gave most of my plastic cutting boards to Goodwill. I have always loved wood for chopping anyways. 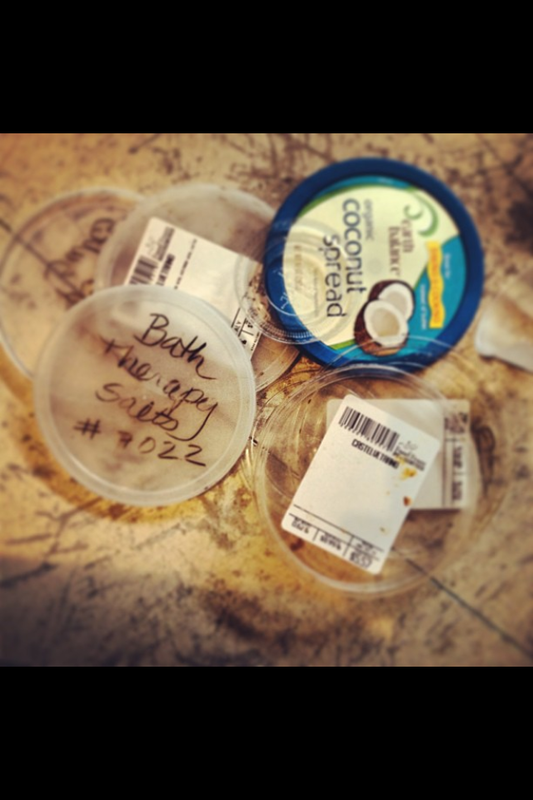 Plastic lids and plastic clamshell containers can’t go in recycling where I live, but there is a place we can take them to. 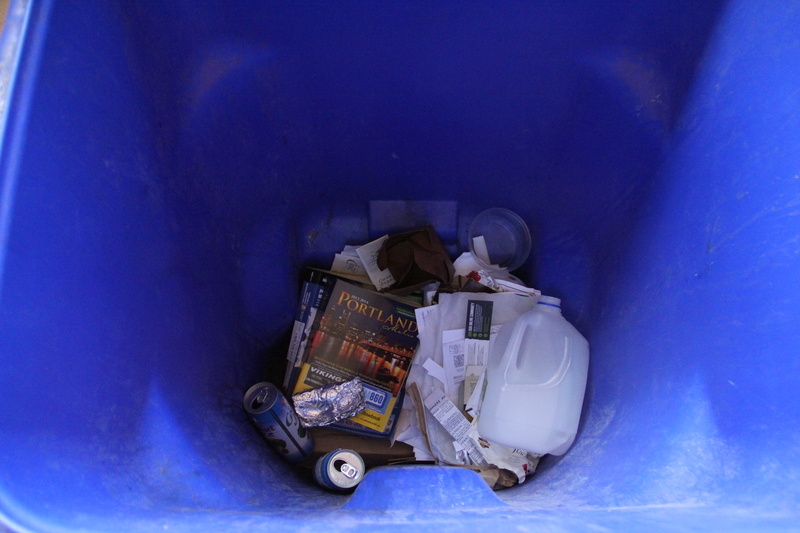 In fact many items with the recycle triangle cannot be processed by your local trash company. I use cloth napkins where possible versus paper towels and I use cloth dish towels to line refrigerator drawers versus paper towels. I am actively working to reduce the number of catalogs I receive by using Catalog Choice and PaperKarma. I called to cancel phone book deliveries to my home. I use glass or metal versus plastic in the kitchen where possible. I “eat in” at restaurants when possible versus getting the “to go” container which is often plastic. I am trying out bulk teas as many of the individual tea packets had plastic inside the paper wrapper therefore they cannot be recycled. I am back to making my own kombucha to reduce the need for multiple containers. 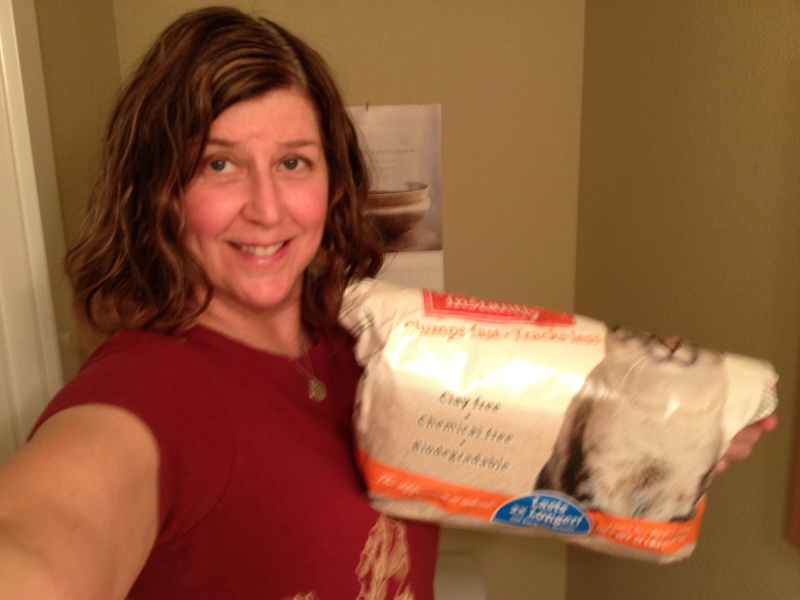 I am trying out Natural Value bathroom tissue from my local co-op that comes in paper packaging versus plastic. It also is recycled and seems to be just fine even when compared to my standby of Charmin Ultra Strong Toilet Paper. 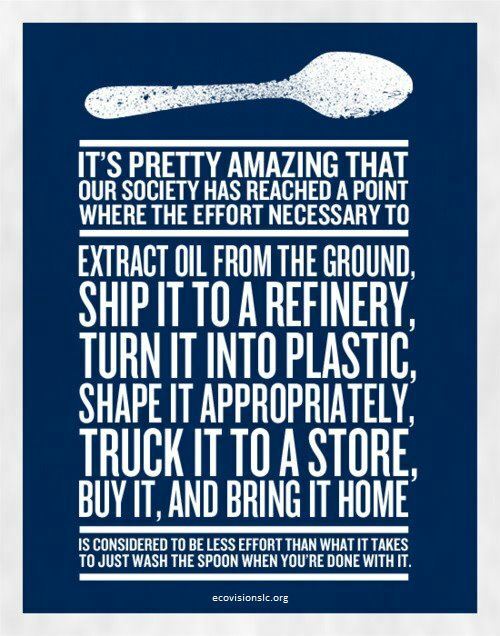 I am not alone in trying to reduce my plastic use, other folks are trying to reduce their waste too. I joined a CSA (Community Supported Agriculture) where I will get a box of veggies and fruits each week from a local organic farm for 19 weeks June to October. I’m going to plant a garden this spring. 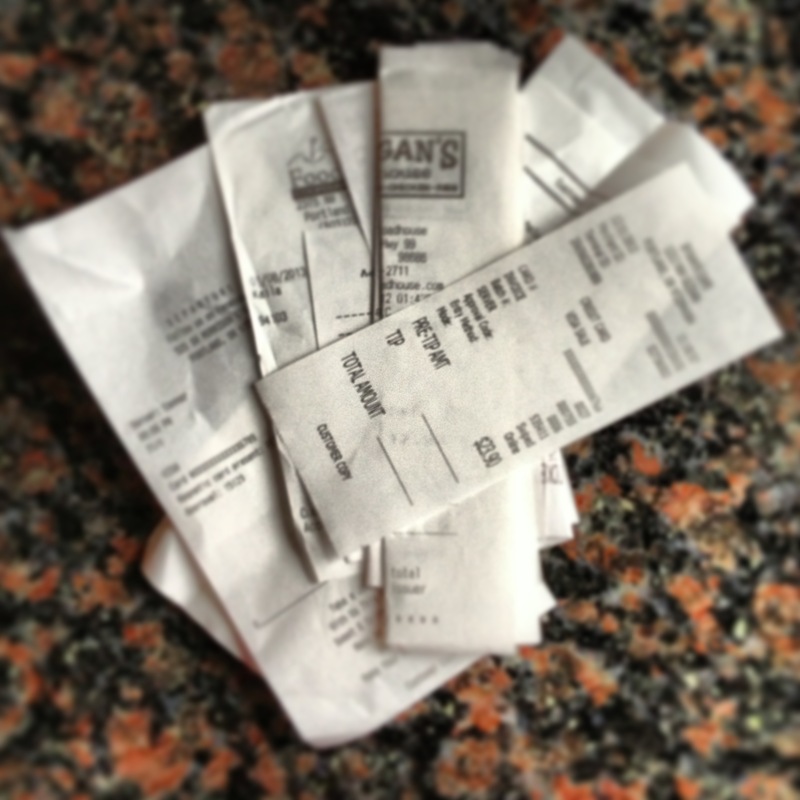 Thermal receipts need to go into the trash, not recycling, as they contain BPA which contaminates recycling. Reusable produce bags from my friend Theresa. These have been one of my biggest plastic savings of all as I buy lots of produce. 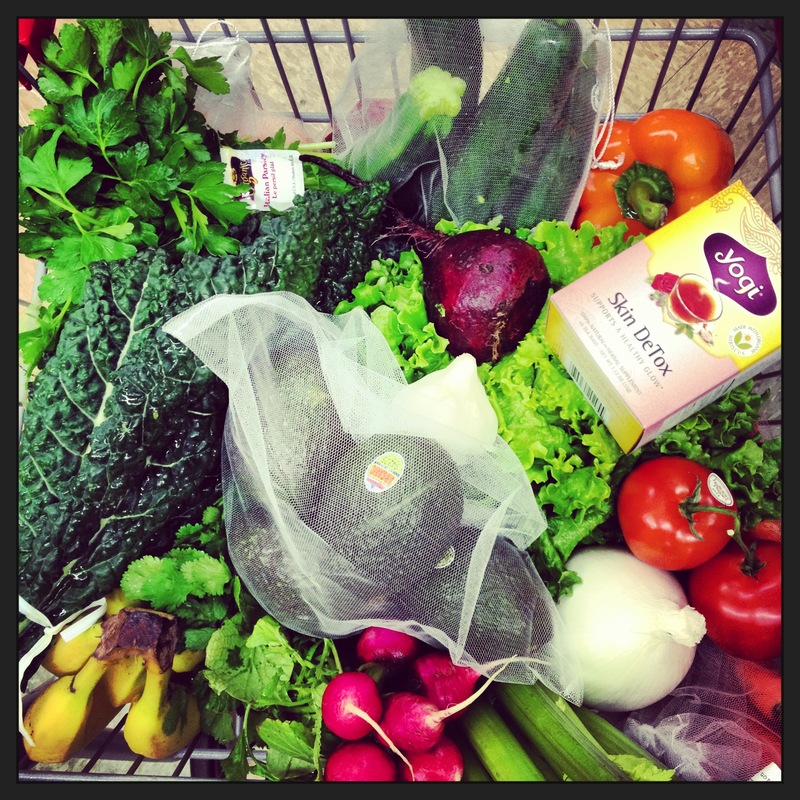 One of the biggest things I had to get over was putting all produce in a plastic bag. For multiples, I use the produce bags, but for single items, I just put them in the cart now. 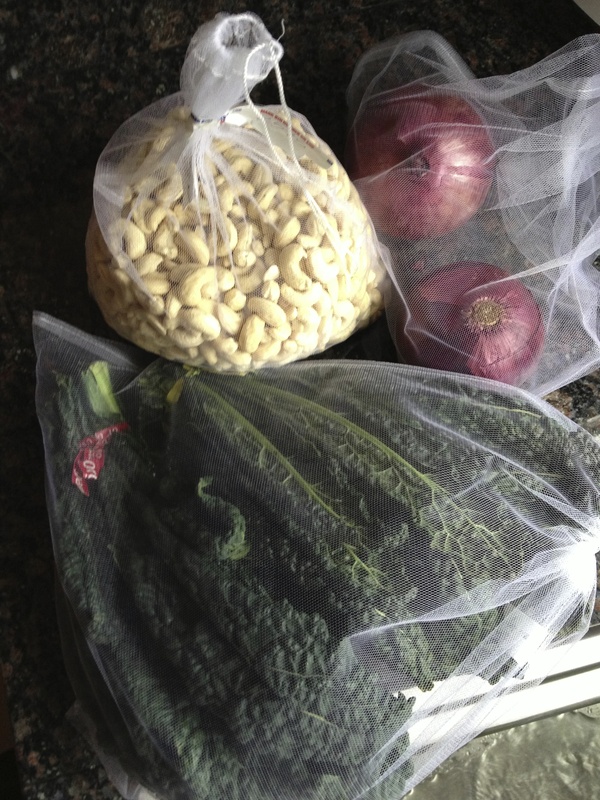 Reusable bags can be used for multiples and bigger bulk items such as cashews. By using this Kleen Kanteen container for water I can avoid needing to buy water in a plastic bottle. It is estimated that Americans use 500 million plastic straws a day. I got these glass straws that can be reused. They come with a cleaning brush. Glass containers are a great way to store items found in bulk at my local food co-op or Whole Foods. 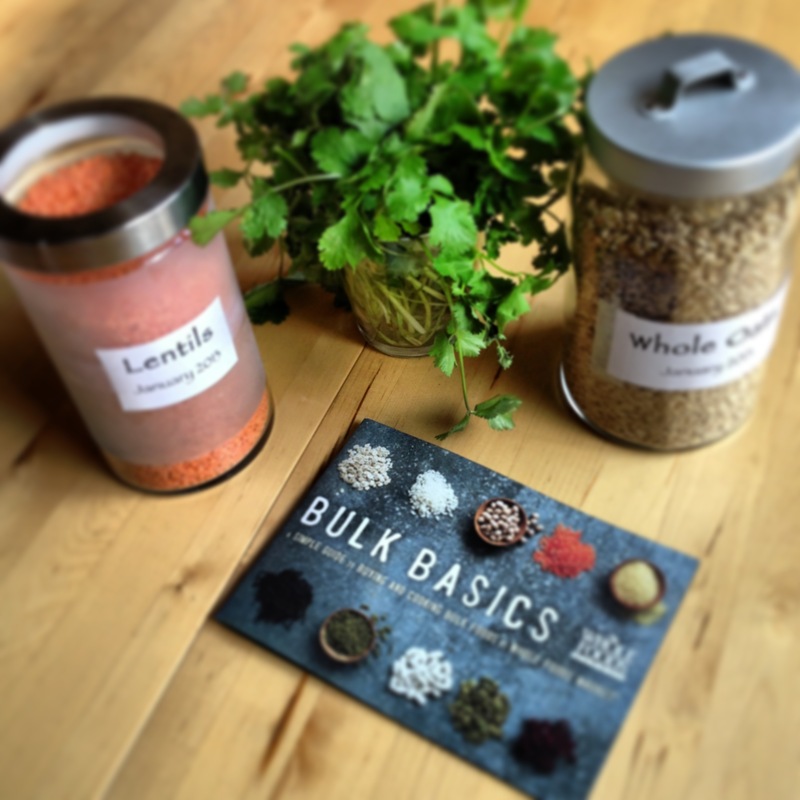 Whole Foods has this neat Bulk Basics booklet for free. 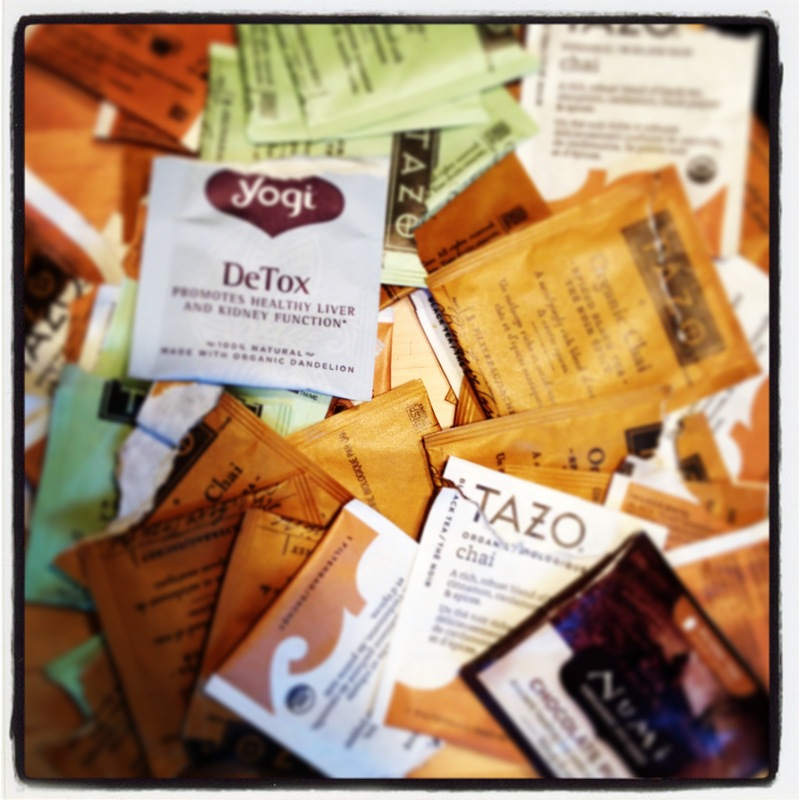 These tea bag wrappers can’t be recycled as they are lined with plastic, so I am trying out bulk teas instead. Most lids cannot go into your neighborhood recycling. Ask for items to be shipped using little or no plastic. Some companies are better than others at doing this, but it starts with asking. 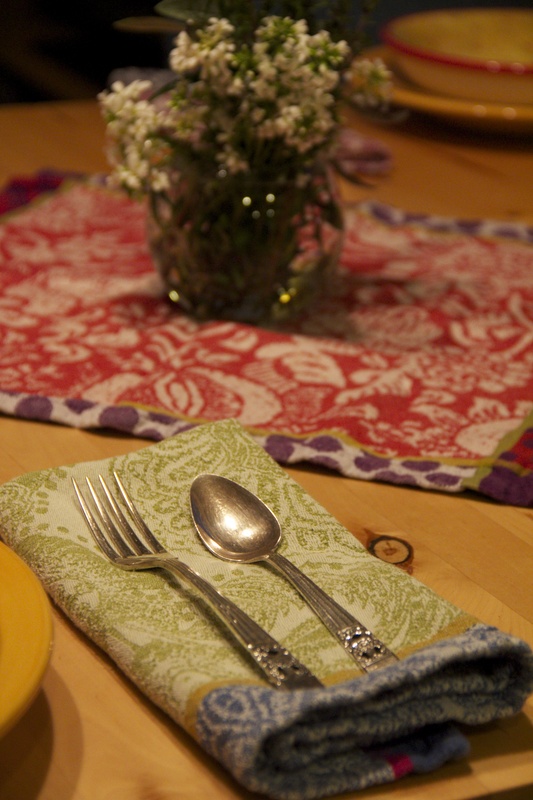 I have rediscovered the fun of using cloth napkins versus paper towels. 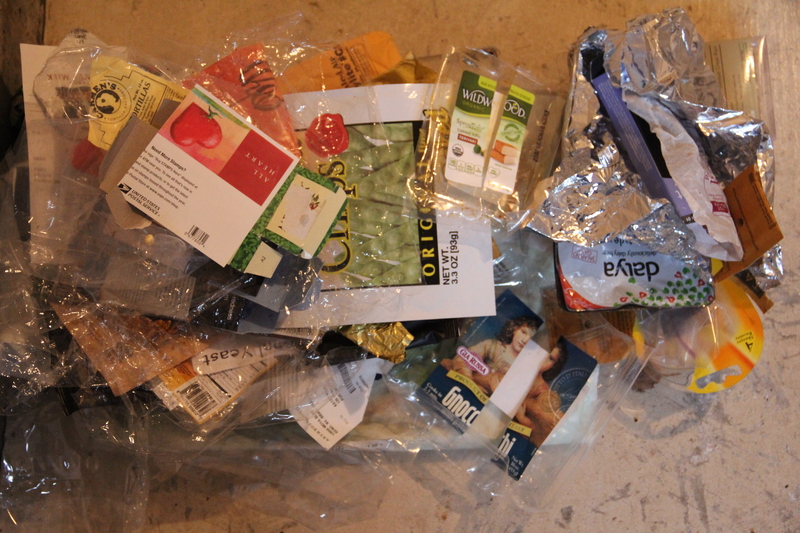 Here is 4 weeks of January trash that filled 2 green trash bags. 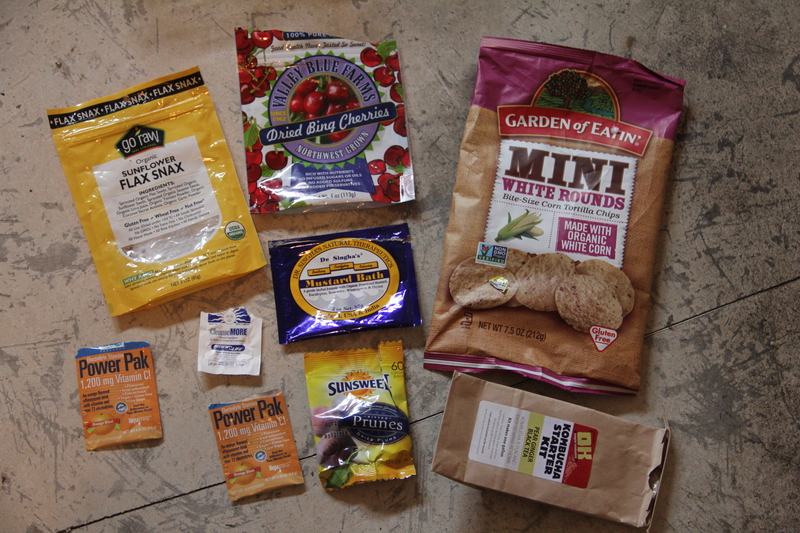 Plastic used to package foods and household items. More items that cannot be recycled. 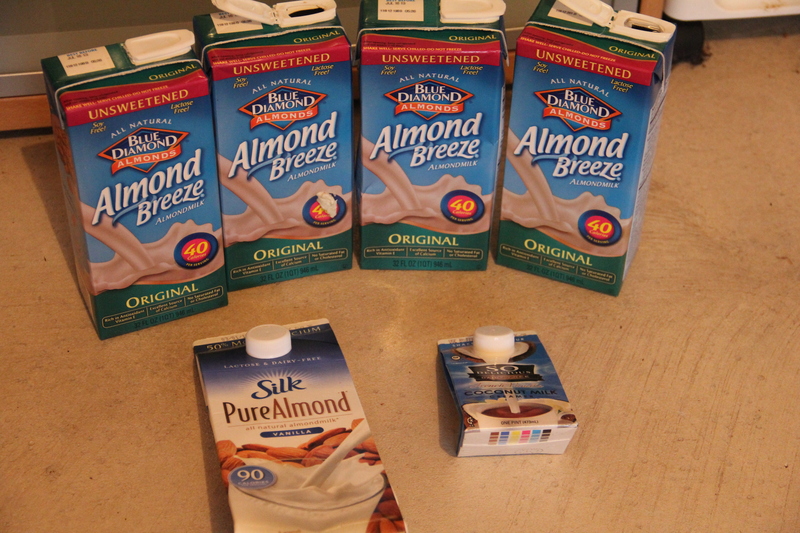 It may make sense to make my own almond milk. Trash from all that January cleaning. Note I mailed the plastic sheet covers to my Mom for reuse with her annual Christmas letter. And now for January recycling. I had about 1/4 of a blue bin full. This is the paper for the 4 weeks. 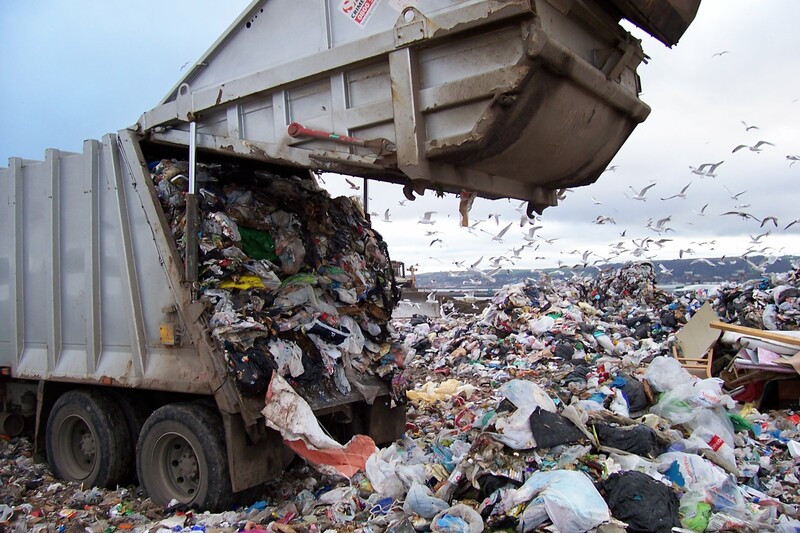 Plastics and metals that can be recycled. Glass items for recycling. 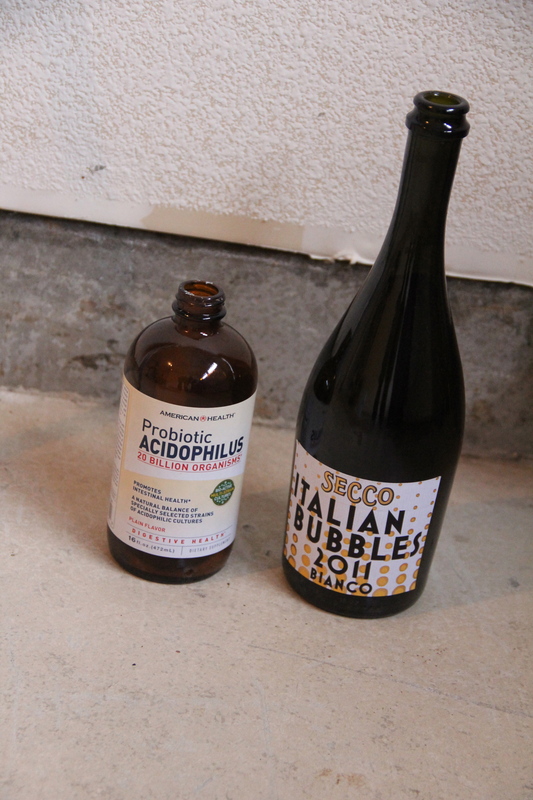 Now do you see why I started making my own kombucha? In the following 4 February weeks I was consciously trying to use less plastic and to create less waste for both trash and recycling. One might say “why try to create less re-cycling?” What I found was a lot of things we think are recyclable really are not. 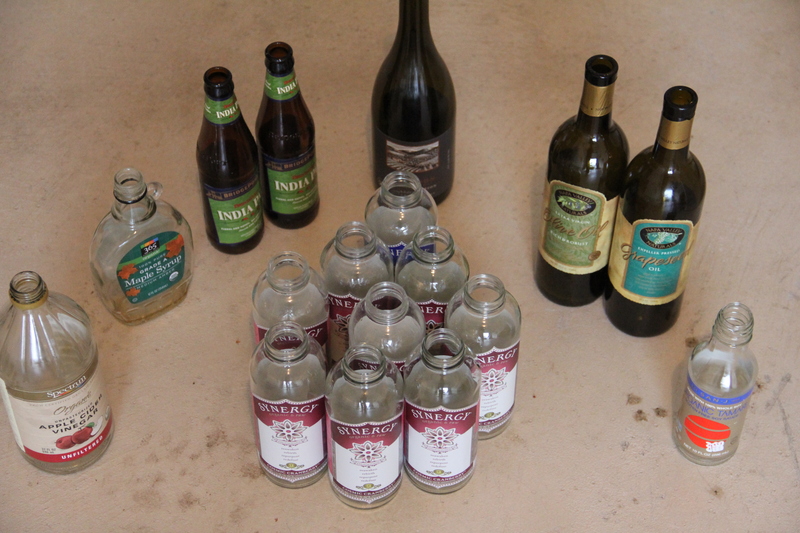 It became a good time for me to get clear what can be put in our recycling bins. I also learned that those neat green biodegradable trash bags really don’t make a huge difference, as they won’t degrade without the proper environment and the landfill is not a place for good breakdown of these bags. As my awareness is raised I see how much we have moved to using plastics in todays world. It has been fun to read Beth’s book and begin to consider other alternatives. For me this whole experiment is not about limitation. 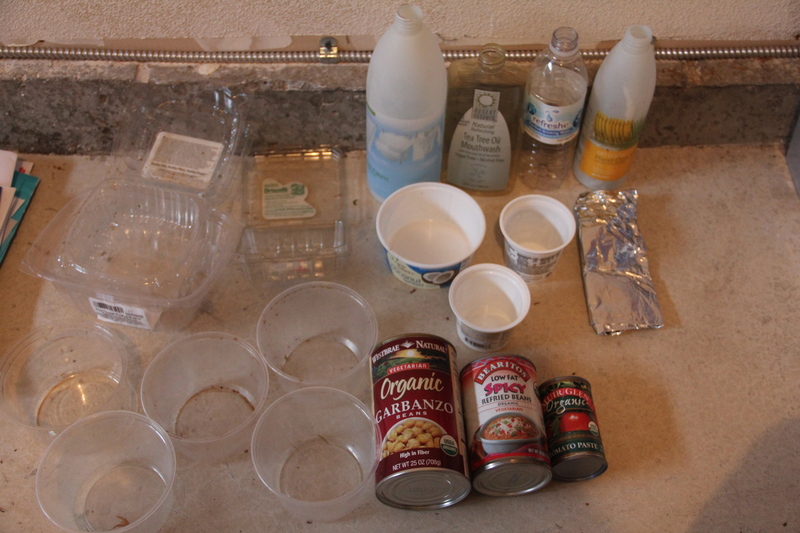 It is about learning and taking on the game of “Can I reduce my plastic and recycling footprint?” In February (the second 4 weeks) here is the trash that I generated. Mind you, this month happened while I was doing a 28 day raw cleanse, so it may be artificially reduced due to purchases being mostly produce. I was not trying to give myself an advantage. That’s just how things coincided. Here is the February Trash from my 2nd 4 weeks. It was 6 times less than the previous 4 weeks! Sorting through to see what’s there. Some items can go to the off site recycling place. I used 8 versus 50 tea bag wrappers. Plastic bags were much smaller and I used 17 versus 31. I am now looking for ways to reduce plastic packaging while knowing it likely won’t be zero. And now to look at how the February recycling went in the 2nd 4 week period. Overall about half as much this time! 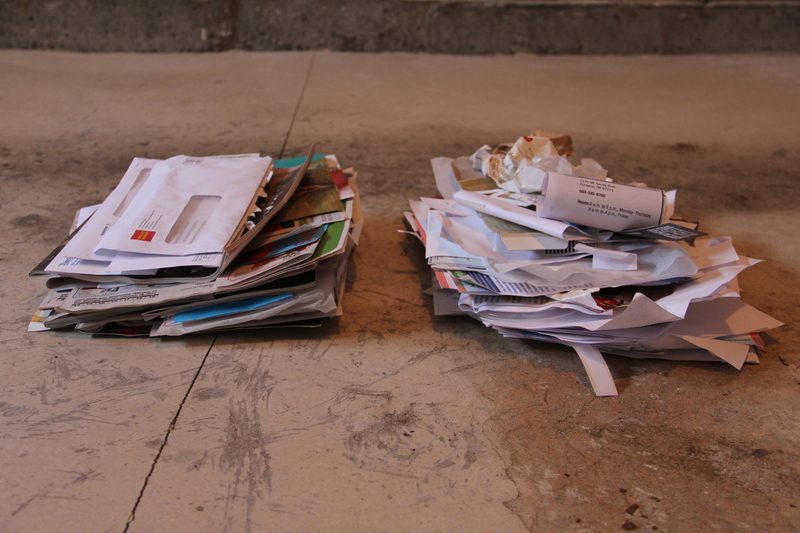 Left is junk mail and right is household papers. 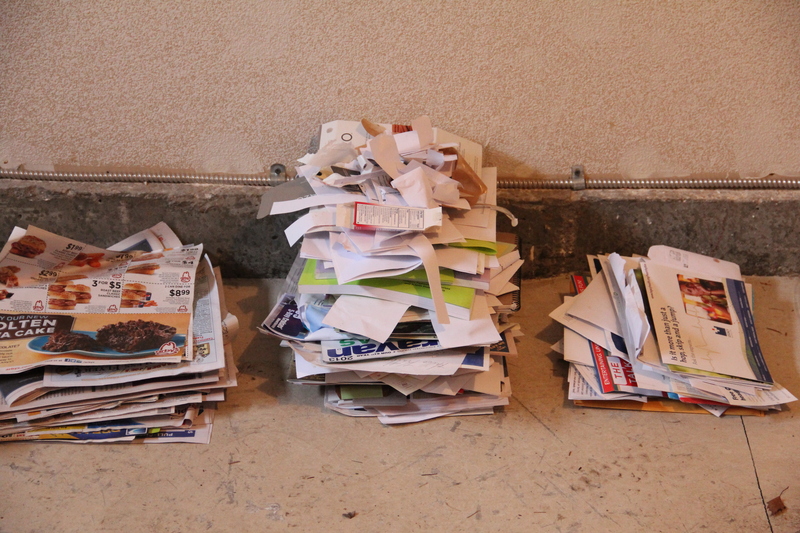 I am consciously working to reduce the junk mail as I mentioned above via Catalog Choice and PaperKarma. 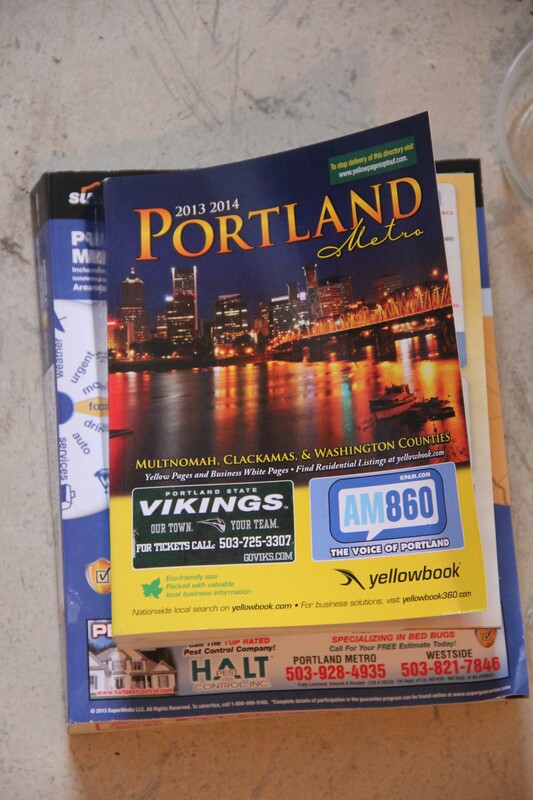 Ugh, of all things I didn’t want was 2 new phone books, especially during this experiment! I learned how to cancel future deliveries however! 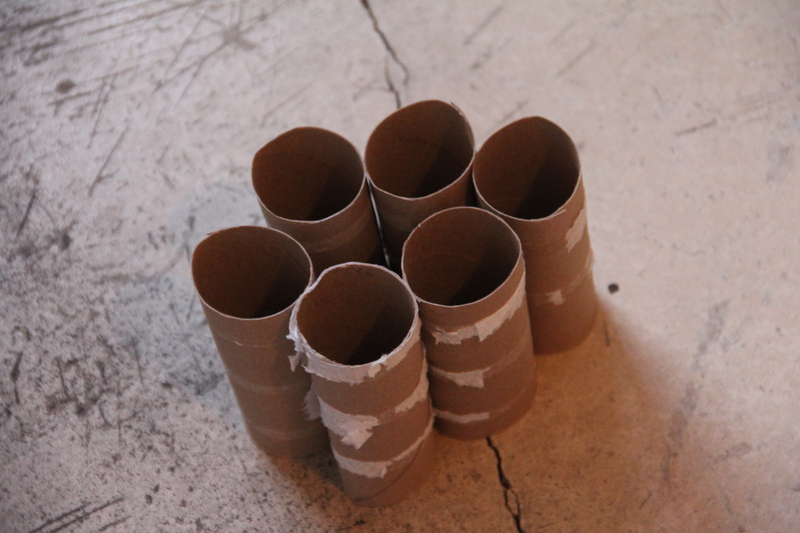 Toiletpaper rolls can be cut and used to start seedlings. I plan to try this out in spring. A big plastic jug from my Thanksgiving road trip finally got used up. Overall way less containers than last month. 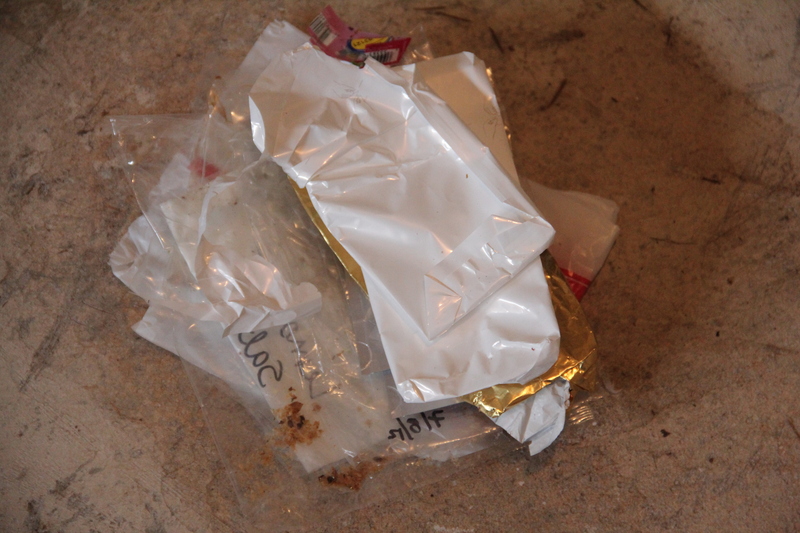 Even when you stop incoming plastic, you have items already in use that will be going out. These are items that the off site recycling place might take. 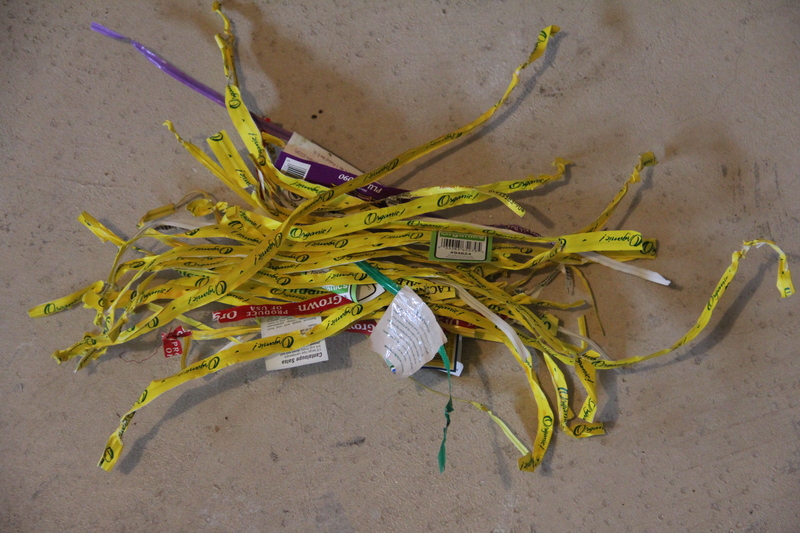 I set them aside and will collect more then do a trip to their location. I used 37 produce wire tags and likely near 100 produce stickers. Using Farmers Markets and the CSA will be a good way to eliminate these! Way less glass was used being on a raw cleanse. I guess New Years is finally over. Recycling was cut in half going from 1/4 to 1/8 of my blue bin full. 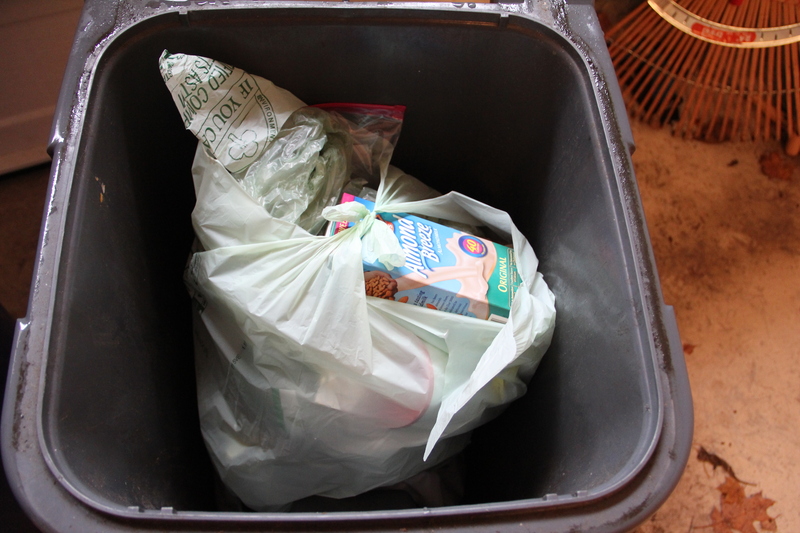 Trash was 6 times less going from 2 green bags to 1/3 of a green bag full. No plastic produce bags used. 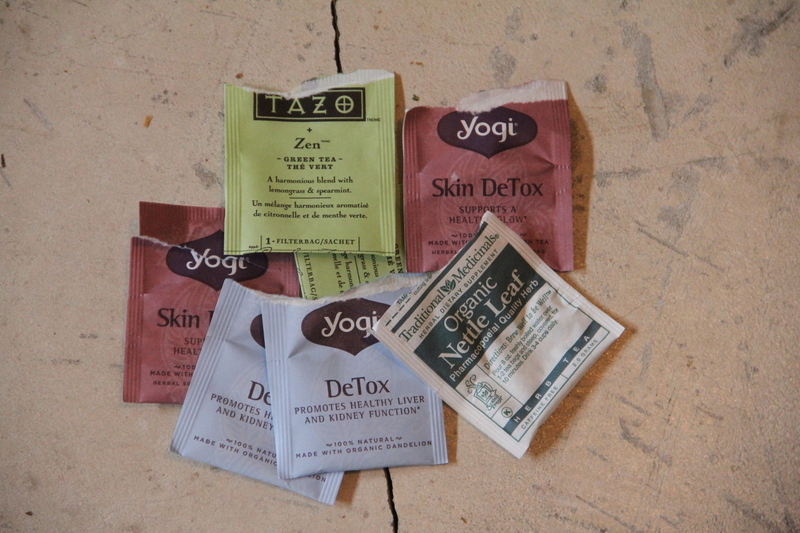 Went from 50 to 8 tea bag packages. I started doing some of my own composting and realized I need a bin closer to my back door. 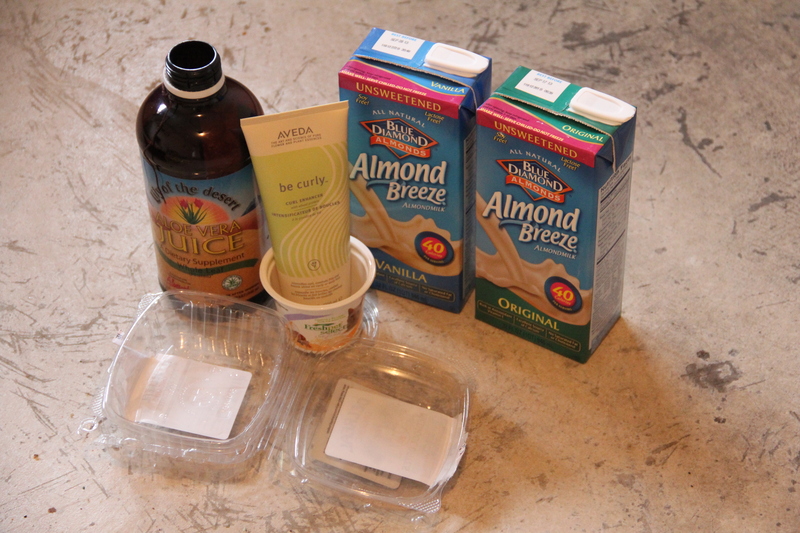 I began to look at alternatives to plastic in my everyday life. There really is no “Away” it all ends up on our earth. I will be following up on this goal in future blogs. I’d like to give a Big shout out to Eco-Vegan Gal for telling me about “Plastic Free” a book that has changed my life. Eco-Vegan Gal has her own YouTube channel and is a great resource for all things vegan and green. Beth Terry has a great web site “My Plastic Free Life” that is another amazing resource. I also like the free plastic free life. 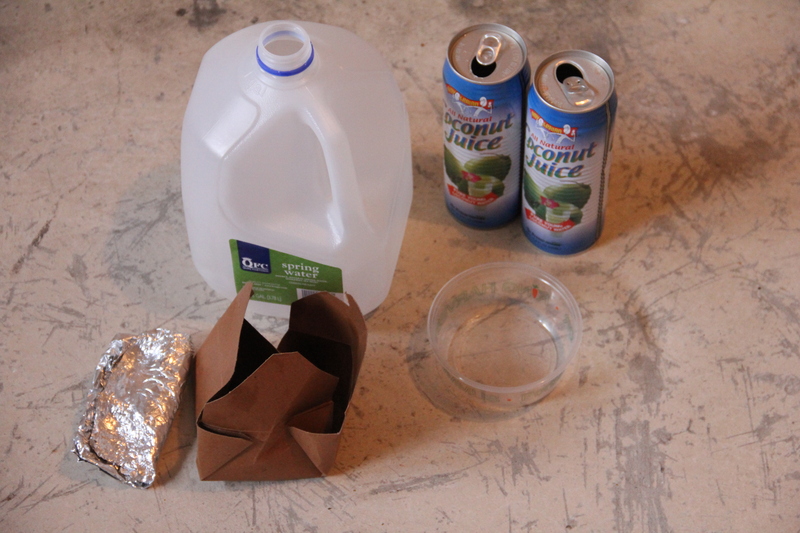 I always sperate the plastic, paper and tin items into the recycle bin and bring my purchase bay for shopping. Reduce the life garbage for good life. Love your sharing. Good for you River. Glad to hear you recycle in Hong Kong and use your own bags. Sounds like you’ve got some good habits! Kathy, I was wondering how the cashews were after being in a reusable bag. The reason I ask is that I think it has holes in it for produce to breath. Did you transfer them to a glass dish with a cover when you got home? Tonia, thanks for reading the blog. I brought the cashews home in the produce bag and then put them into a glass jar with a label of what it is and the month and year I bought it. Great blog with lots of ideas for all of us to consider! Thanks Kathy! Thanks Jane. I am enjoying learning new things and “experimenting.” It has a sense of freedom and fun. Great information that we don’t hear about often enough! Thanks for doing the work of informing us of what we can do. Can the reusable produce bags be washed? How often do you find you want to do that? Hi Jill, Yes the reusable produce bags can be washed. I only wash them when they look dirty as most of the time, I can shake out any leaves and they dry really fast being mesh. I do still put them into a drawer or a plastic bag in the frig to keep them from drying out and spoiling. For now I am reusing the plastic bags that I put any frig produce in and washing them out, drying them and such. I would welcome a better solution for keeping veggies from drying out and getting wilted while in the frig. Wow, Kathy, your blog is rich! I read about your plastic purge and got some ideas myself. 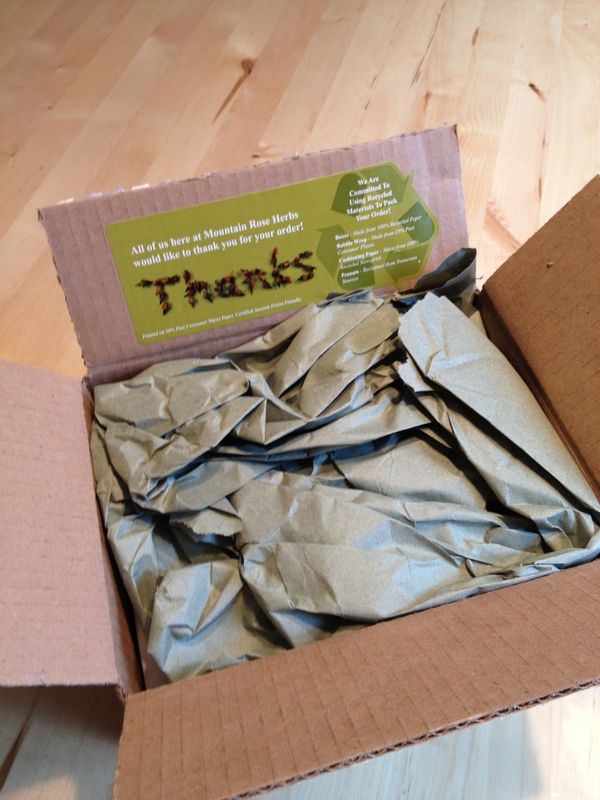 I also liked all the links to green products, and I intend to switch to recycled tp. What Portland recycler do you use for CFLs and plastics? Thanks for all your work! Hi Susan, Thanks for checking out my blog. I am glad you got some information and ideas from it. When I moved to my current home 3 and 1/2 years ago I put in CFLs in as many places as possible, but I have yet to have one burn out. On the plastics that don’t go into curbside pick-up, there is the Foster Road location that can take some, but not all of them, and it is located at 6400 SE 101st Avenue, BLDG #4-A and 503-285-1418. 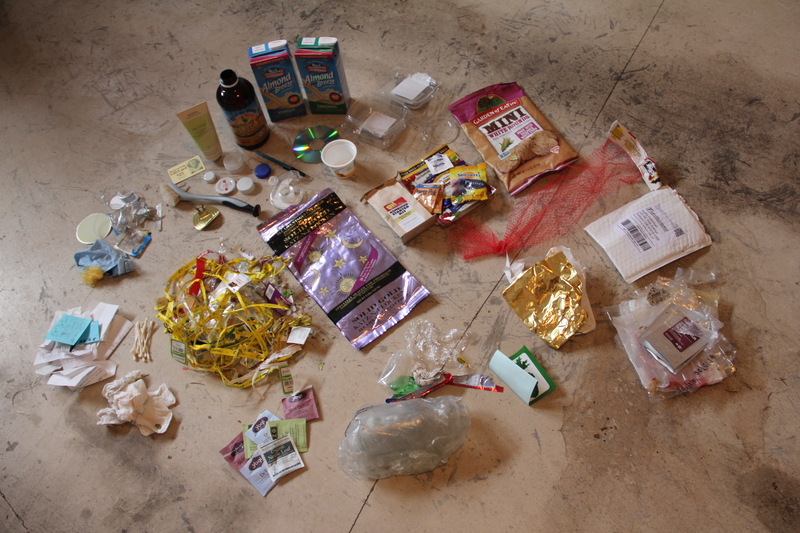 I am presently collecting those items they might take and once I have a bag full, will visit them for the first time. My lessons have started, but there is still so much to learn. I will be reporting out more as I learn more and visit the off site recycling center and monitor my trash and recycling volumes.